This is a story from The Adventures of Sherlock Holmes VI collection. In "The Final Problem", perhaps the greatest of the short stories of Sherlock Holmes, the English detective encounters his most formidable rival, Professor Moriarty. 'The Napoleon of Crime' is how Holmes describes his adversary to his faithful companion, Dr Watson, as they move to the ultimate confrontation at the Reichenbach Falls. This is a story from The Adventures of Sherlock Holmes collection. In this collection are four more individual cases for Mr. Sherlock Holmes, narrated by his faithful friend and admirer Dr. Watson. They dive into the opium dens of London in "The Man with the Twisted Lip," recall the curious history of "The Musgrave Ritual," come face to face with the grisly evidence contained in "The Cardboard Box," and go on a wild-goose chase in "The Adventure of the Blue Carbuncle." The powers of Sherlock Holmes prevail. weird , random, Mormon tale told in chapter six. This is a story from the The Adventures of Sherlock Holmes I collection. 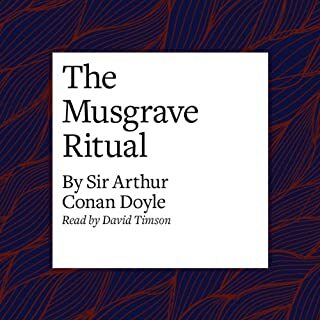 FNH Audio presents an unabridged reading of this classic Sherlock Holmes tale. When a perfectly respectable gentleman walks into Sherlock's home closely followed by two police detectives investigating a murder, it's the start of another grotesque adventure for the consulting detective. Who is the mysterious Garcia, and why did he suddenly disappear overnight? Hilton Cubitt, from Derbyshire, consults Holmes about a series of dancing men picture-messages his wife is receiving. On their wedding-day, she had made Cubitt promise he would ask her nothing about her past, but she now seems to be terrified. Holmes has to decipher the code of the matchstick men and get to the bottom of the dreadful murder that lies behind it. 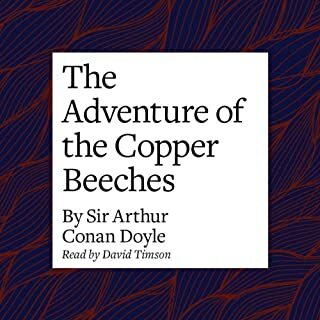 In The Adventure of the Speckled Band, Sherlock Holmes and Doctor Watson are faced with a most unusual case. Two years earlier a young woman died under mysterious and unexplained circumstances while alone in her locked bedroom. Her last words to her sister referred to a 'speckled band'. She had previously complained of hearing a strange whistling sound in the night. Now the sister is sleeping in the same room, and she too has heard the mysterious whistling. But what can it be? And what is the 'speckled band'? "The Adventure of the Empty House", one of the 56 Sherlock Holmes short stories written by Sir Arthur Conan Doyle, is one of 13 stories in the cycle collected as "The Return of Sherlock Holmes". Public pressure forced Conan Doyle to bring the sleuth back to life, and explain his apparently miraculous survival of a deadly struggle with Professor Moriarty. This is the first Holmes story set after his supposed death at the Reichenbach Falls, as recounted in "The Final Problem". Further adventures by the master of observation and deduction, as faithfully recounted by his companion and greatest admirer, Dr Watson. The Adventure of the Bruce-Partington Plans, The Disappearance of Lady Frances Carfax and The Adventure of the Dying Detective are among the stories. David Timson's award-winning performances continue with this series. This is a story from The Casebook of Sherlock Holmes, Volume I collection. These six cases are among the last undertaken by Sherlock Holmes before he retired to the Sussex downs. However, the problems facing the sleuth are as diverse and challenging as ever. Sherlock Holmes and Dr. Watson investigate the legend of a supernatural hound, a beast that may be stalking a young heir on the fog-shrouded moorland that makes up his estate. The best of the Holmes novels! This is a story from The Adventures of Sherlock Holmes V collection. Dr Watson comments: 'The stage lost a fine actor' when Holmes chose to devote his formidable talents to the solution of crime. 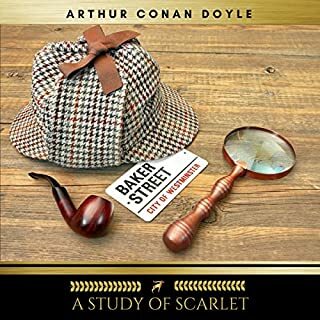 Two of these stories, "The Reigate Squire" and "The Adventure of Beryl Coronet", Sherlock Holmes demonstrates his thespian powers as he unravels the mysteries. Four more stories from the master detective. 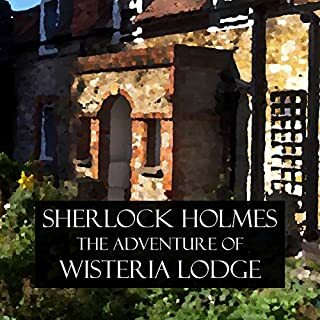 The mystery of the missing suitor is solved and Sherlock Holmes raises his whip: an Indian pot stands in the shadows of a Colonel's death; serious affairs of state and international diplomacy are threatened by a theft; and surely evil intent lies behind threats in a hidden house. The cool observations and swift action of Mr. Sherlock Holmes resolves all. Holmes' search for Neville St. Clair has lead him to the opium dens of Upper Swandam Lane, where the 'disappearance' of many souls in this vile alley is a sobering fact of life. Not simply those whose lives are consumed and cast into perdition by the drug, but sudden, violent exits from the mortal plane at the hands of others. St. Clair's distraught wife has seen him here in one of the dens, but he has vanished just as suddenly. Police have found his clothes and bloodstains upon an open windowsill. This is a story from The Return of Sherlock Holmes II collection. 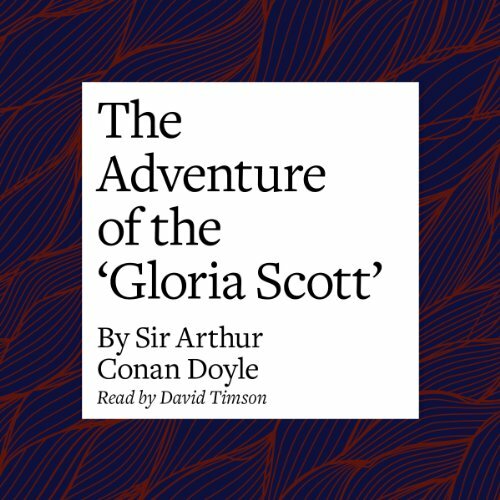 In "The Adventure of the 'Gloria Scott'", Watson recounts Sherlock Holmes' earliest case. An undergrad sleuth, Holmes solves the mystery behind his friend's father's death by decoding a secret note. This particular tale inspired the third season opener of the hit TV show Sherlock and the 1946 film Dressed to Kill. 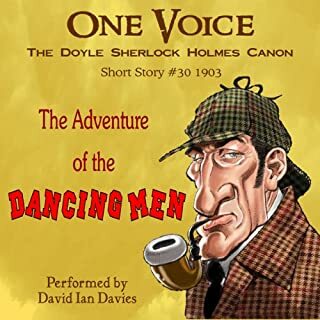 David Timson's voice is pitch-perfect for the Sir Arthur Conan Doyle canon. Timson's performance, replete with lilting British accent, builds excitement and suspense throughout. Timson knows his genre and works with it to keep audiences hanging on Doyle's clever plot twists. This is a story from The Adventures of Sherlock Holmes VI collection. 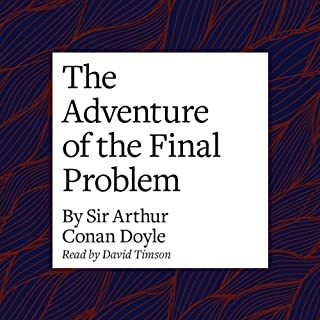 In "The Final Problem", perhaps the greatest of the short stories of Sherlock Holmes, the English detective encounters his most formidable rival, Professor Moriarty. 'The Napoleon of Crime' is how Holmes describes his adversary to his faithful companion, Dr Watson, as they move to the ultimate confrontation at the Reichenbach Falls. Public Domain (P)2000 NAXOS AudioBooks Ltd.